The objective of this partnership is to intensify and harmonize country, regional, and global action to improve maternal, neonatal, and child health by focusing on country support, advocacy, effective interventions, and accountability. PMNCH is a global health partnership, working as the only platform bringing together all of the partners in the global health community focused on improving the health of women and children and promoting the RMNCH Continuum of Care. PMNCH enables Partners to share strategies, align objectives and resources, and agree on interventions. The Agency is a directorate under the Norwegian Ministry of Foreign Affairs. In matter regarding Norway’s International Climate and Forest Initiative (NICFI), Norad reports to the Norwegian Ministry of Climate and Environment. In 2015, Norwegian development aid amounted to NOK 34.5 billion. This represents an increase of approximately NOK 2.4 billion on the previous year. Aid in 2015 corresponded to 1.05 per cent of Norway’s gross national income (GNI). In 2014, Norway gave NOK 32.1 billion in development aid, equivalent to one per cent of GNI. Altogether 109 countries received Norwegian development aid in 2015, seven fewer than in 2014. Brazil received most Norwegian development aid in 2015, for the fourth year in a row. Following Brazil as the largest recipients were Afghanistan, Palestine, Malawi and Syria. Norad provides expert advice about development and aid to foreign services and works together with a range of other players in development assistance. In order to provide good and relevant advice it is important to understand the context in which the development aid must work. 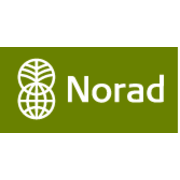 Norad draws on the best expert groups in Norway and has substantial knowledge and know-how on subjects ranging from health and education to climate, environment, energy and human rights in recipient countries. Quality assurance of Norwegian aid measures is one of their most important responsibilities. This is a question of good financial management, prevention of corruption, practising a zero tolerance policy on corruption, and control over the use of development aid funds. To ensure that development aid funds are spent in line with approved guidelines and archieve the desired results, manuals and support handbooks have been developed. They explain principles, procedures, methods and guidelines for quality assurance and risk management. Norad grants funding to organisations within civil society, research, higher education and industry that work with partners in poor countries. Most of the Norwegian development aid is managed by the Ministry of Foreign Affairs and Norwegian embassies abroad. Norad aims to provide information about Norwegian aid to the Norwegian public in a way that is easy to understand. What are the results? Where does the money go? Studies show that Norwegian aid enjoys a consistent high level of acceptance in the population, but that knowledge about what aid funds are spent on is poor. Norad is responsible for independent evaluation of activities funded over the Norwegian development budget. The evaluations are intended to verify that the support granted are for example to a project or to and organisation, give results.Evaluation activities are governed by a specific directive. Evaluations must 1) document the results of development cooperation, 2) gather experience for future learning and 3) serve as a source of information for the authorities and the Norwegian public. The evaluations are conducted by independent researchers or consultants who have not been involved in the projects. They believe that nurturing and caring for children are the cornerstones of human progress. UNICEF was created with this purpose in mind – to work with others to overcome the obstacles that poverty, violence, disease and discrimination place in a child’s path. UNICEF works to improve the policies and services that protect all children. They aim to make the world a safe and inclusive place for children to grow. Child mortality has decreased globally. UNICEF works to make sure solutions reach all children, everywhere. UNICEF believes that quality education is a right for all children, whether in the developing world or amidst conflict and crisis. Wherever there is a crisis, UNICEF strives to reach children and families in the hardest hit regions with lifesaving resources. UNICEF fights for the equal rights of women and girls, with their full participation in political, social and economic development around the world. UNICEF believes that the complex challenges children face can be met with innovative, creative solutions backed by rigorous research. 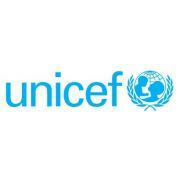 UNICEF works to provide and transport critical medicine, aid and supplies to the world’s most needy children. UNICEF’s global programmes and initiatives are grounded in rigorous research and thoughtful analysis.